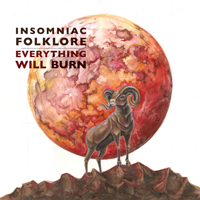 In Insomniac Folklore's heaviest album to date, the group has kept their signature intense vocals but left the riotous singalongs behind in favor of a warmer, richer sound that is simultaneously mature, rootsy, and deeply, darkly satisfying. Everything Will Burn was written and recorded by Tyler Hentschel in Roseburg and Portland, Oregon, as well as in Nashville, Tennessee. The album was mastered by Kramer, whose production credits include Danielson Familie, Daniel Johnston, White Zombie, and GWAR. Everything Will Burn draws on inspiration such as the apocalyptic paintings of John Martin, the writings of American horror writer R.A. Lafferty, and the centuries-old tradition in European art of depicting the prophet Moses with horns. While it had always been the intention to write an album inspired by the stories Moses and the Apocalypse, it was during the writing process for Everything Will Burn that the band was introduced to the writing of Immanuel Velikovsky, controversial scientist of the 20th century. Velikovsky believed that during the time of Moses, the earth was nearly destroyed by a comet, and relatively few human beings lived to tell the tale. It was against this backdrop of cosmic upheaval that the Exodus took place. Tyler Hentschel began playing music under the name Insomniac Folklore in 2001. The band, which began in a garage in Oregon, is based primarily out of a red Astro van, ever since their Volvo station wagon bit the dust in 2015. While the band is made up of a rotating cast of friends and family, the lineup you're most likely to see includes Adrienne Hentschel on backing vocals and reading aloud in the car and Amanda Curry on bass guitar and eating all the snacks. Gamera the tortoise is usually along for the ride but thus far has not made himself of any practical use. The band makes frequent stops at used book stores across the country. If you want them to keep an eye out for any particular title, you should let them know. Otherwise Tyler will continue to traffic in obscure science fiction and old video games. "I find myself more enchanted by it than not. I'm not sure I've ever heard a band quite like this one, and for that alone they deserve respect." - Tuesday Morning 3a.m. Kat Jones - Vocals on "Live Until I Die"
All songs by Tyler Hentschel except for: "The First Succot" by Adrienne. "Dust" words by Adrienne, music by Tyler. "Live Until I Die" words by Tyler Hentschel and Kat Jones, music by Tyler. 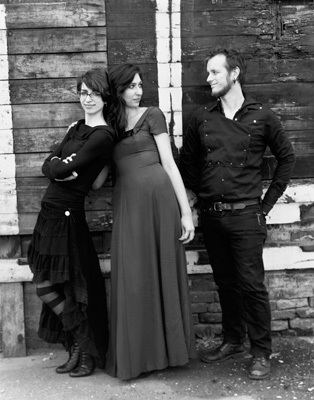 "Heart" by Brian Flechtner and Pilgrims Family Band. Recorded by Tyler Hentschel at PMC in Madison, TN, and Redeemers in Roseburg, OR. except for: Drums and electric guitar and "Feet in the Earth" recorded by Norvin Johnson at Sound Stage Studios in Portland, OR. Violin parts recorded by Michael Barfield in St Charles, MO. Audio by Immanual Velikovsky on 1 & 11, and quote from Worlds in Collision on 4, are used under fair use and permissions sought. 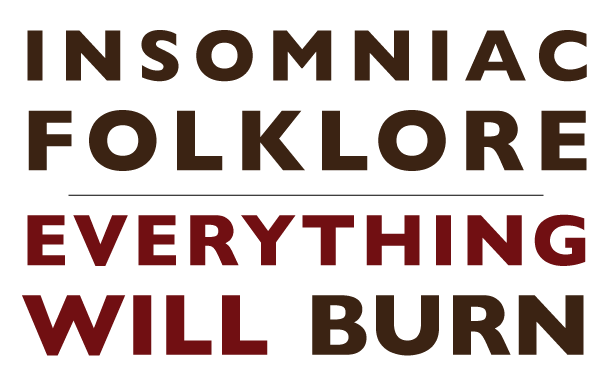 Insomniac Folklore has long been known for charming and aggressive theatrical punk shows blending cheeky satire and gut-wrenching intensity in a display that earned their earliest albums the moniker "tantrum folk." 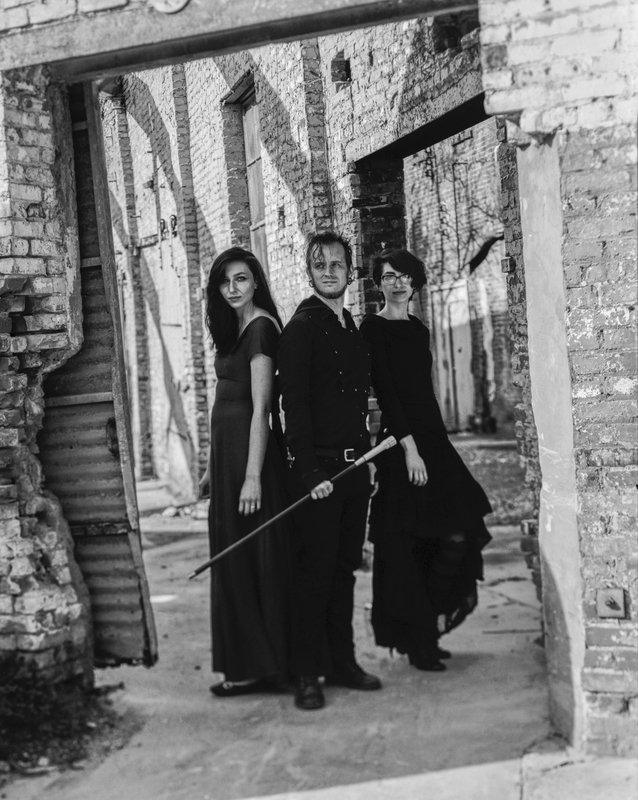 With Everything Will Burn, the group has kept their signature intense vocals but left the riotous singalongs behind in favor of a warmer, richer sound that is simultaneously mature, rootsy, and deeply, darkly satisfying. 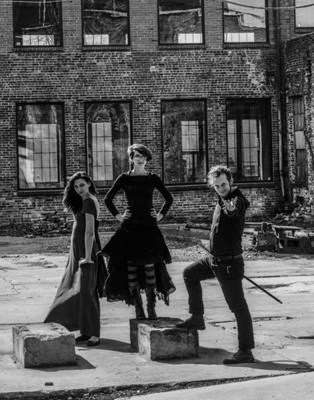 While Insomniac Folklore's vaudevillian presentation and vintage aesthetic have gained them a following in steampunk circles, their latest project combines science fiction with more ancient history to weave a narrative that is intelligent, haunting, and strangely telling about our own times. Violence, religion, climate change, and questionable science all have their parts to play in this story, but the album never becomes trite or political; through the experiences of an ancient people we are given the opportunity to experience the anxiety and upheavals of our own world with courage and compassion. Everything Will Burn opens with a slow and foreboding instrumental track, clanging, crashing and horns, the inexorable approach of calamity. Against this backdrop of impending destruction we hear the mysterious promise, "I am not a prophet of doom; it is the other way around." Title track "Everything Will Burn" will in some ways be the most familiar to longtime listeners, with its lilting guitar and foot-stomping rhythm. 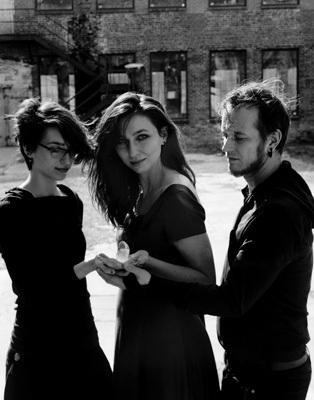 Hentschel's poetic lyrics growled over vintage organ tones and mellow backing vocals are reminiscent of Leonard Cohen and Goldfrapp. 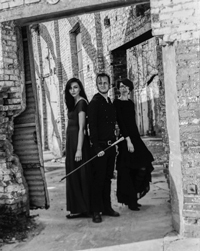 Popular at live concerts, "Feet in the Earth" takes a more punk-rock direction, driven by Ayden Simonatti's hard-hitting drumming and Lisa Strader's soaring violin. "Come Down Moses" begins with deceptive sweetness as a chorus sings scenes from the life of the Biblical prophet. A simple guitar melody over spacey synth is punctuated by deep, earth-shaking blasts of bass that build to a raucous climax as the track continues, describing the utter tumult of a world shaken to its core by meteors and volcanoes, and the terror of a people hearing the voice of God for the first time in this uproar. "Dust" is perhaps the heaviest song on the album, but the band puts an unexpected earthy twist on this doom-metal track eschewing drums in favor of pots, pans, and dried-out cow bones for percussion. The result is as desolate and eerily beautiful as the desert itself. 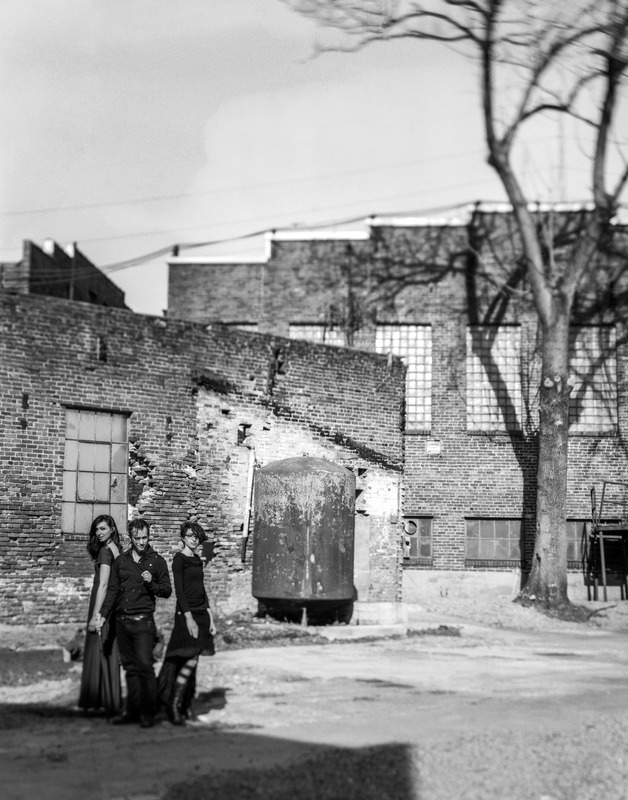 In "Live Until I Die," Hentschel brings us back to the present moment with a moving duet with vocalist and guitarist Kat Jones, wandering through the human and environmental disasters of our own time with determination to live fully. Finally, in a dazed and groggy denouement, "The End" contrasts the hedonistic behavior of a overstimulated and oversexed generation with the disturbing account of singer Tyler Hentschel's own brush with death, robbed at gunpoint in an abandoned house. To the sounds of thunder and soaking rain, this sordid vision gives way to etherial harmonies in a reprise of the title track that is not at all gloomy, but hopeful, radiant, waiting. In stores and online July 7, 2017. 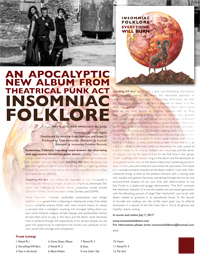 If you are interested in booking Insomniac Folklore, please write Tyler Hentschel at insomniacfolklore@hotmail.com. If you would like to join our mailing list, fill out this form, and we might send you email every once in a while. But you should follow us on Facebook, just in case.